The whistleblower who made allegations of state-sponsored doping in Russia says his "life is in jeopardy" and the Russian government want him to "stop talking". Russian former anti-doping official Grigory Rodchenkov has given his first televised interview in disguise since fleeing to the United States in 2015. His evidence led to Russia's ban from the ongoing Winter Olympics. "The Kremlin want me to stop talking," he told CBS news show 60 Minutes. Rodchenkov has dyed his hair and shaved his moustache for "security reasons", and the disguise applied for the interview was not the same as his usual appearance. "There is information that my life is in jeopardy and we took all necessary steps," he said. Rodchenkov believes Russian president Vladimir Putin was aware of the doping programme, despite denials from the Kremlin, while Putin has said Rodchenkov is "under the control of American special services". "I am not a liar - I was not telling the truth in Russia, but since coming to United States I am telling the truth now," said Rodchenkov. Putin has previously called for "professional co-operation" with anti-doping bodies. Russia was banned from Pyeongchang 2018 after Rodchenkov's claims were investigated, with the International Olympic Committee (IOC) initially giving life bans to 43 athletes involved in the doping programme. Earlier in February, the Court of Arbitration for Sport (CAS) overturned the suspensions of 28 Russian athletes, partially upholding 11 other appeals. And 168 Russian athletes are competing in South Korea as neutral Olympic Athletes from Russia (OAR) having received invites from the IOC for proving they are clean. Russia won 13 golds to top the medal table at Sochi 2014, and Rodchenkov claims that five of those medals were won by athletes who were doping. 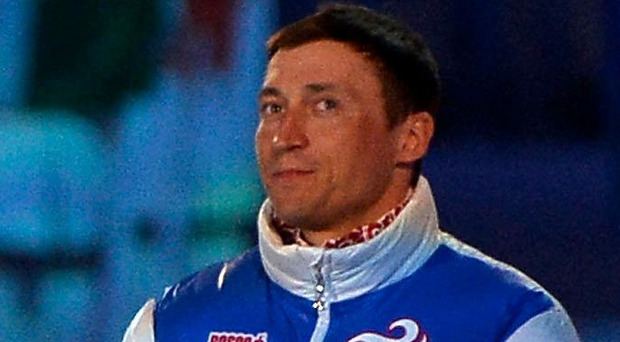 Cross country skier Alexander Legkov, skeleton's Alexandr Tretiakov and Russia's two and four-man bobsled teams were stripped of their gold, but Legkov and Tretiakov had their results reinstated on appeal. Rodchenkov was the director of Russia's anti-doping laboratory in Moscow, and said the aim was to "win at any cost at World Championships and Olympics". He added the laboratory had a "dual" aim as it had to report "1% to 2% of positives" despite its main role being to "protect the Russian national team". He also showed how he and his colleagues were able to exchange clean urine for the samples given by doped Russia athletes after their events at Sochi 2014. He added that Evgeni Blokhin, an agent of Russia's intelligence service the FSB, posed as a plumber to gain access to a non-secure room next to the locked doping laboratory, passing the sample bottles through a hole in the wall that was obscured by furniture. "It was so simple and so effective," said Rodchenkov. He claims "genius" experts from the FSB were able to reopen supposedly tamper-proof bottles to replace urine. Rodchenkov provided evidence for the McLaren report which found evidence of marks on the bottles from where tools were used to prise them open. By Steve Simpson Team Ireland, including 21 Ulster athletes, has emerged victorious with an incredible haul of 86 medals at the Special Olympics World Games in Abu Dhabi.